The next wave of the chrome nails craze is achieving the look at home – over regular nail polish. 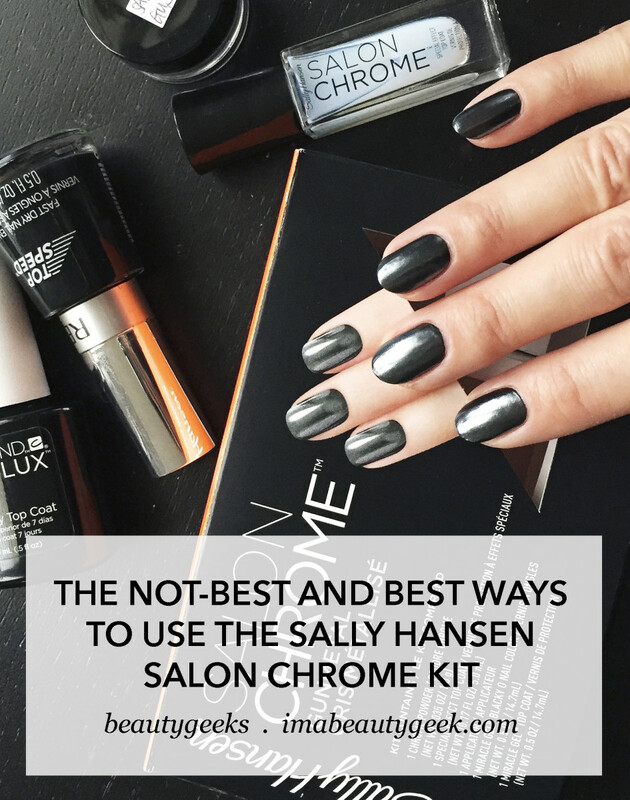 Our Manigeek looks at the Sally Hansen Salon Chrome Kit and demonstrates a FAIL before the best way to get the look. Chrome nails has finally hit DIY home-kit status, and unlike the professional version, the kit is designed to be used with regular nail polish. (At the salon, gel is the base for the chrome finish.) So Manigeek and I shot this how-to video featuring the limited-edition Sally Hansen Salon Chrome Kit (you can still find it online: $34.97 CAN at walmart.ca and $22.97 USD at amazon.com). As usual, Karen has lots of practical tips to pass along to help you get the best out of your kit. Most important is this: circumstances during our shoot meant that Manigeek actually experienced a fail, first – and we left it in because it&apos;s the easiest way to show what not to do. 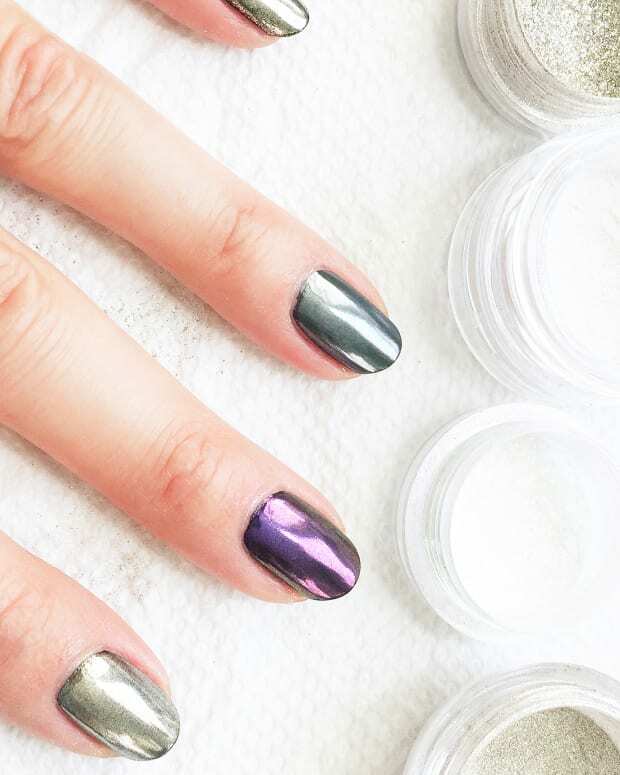 Mirror chrome manicures are tricky, even via a home kit. If you&apos;ve seen our at-home gel-base how-to video and the even more important how to remove gel video, you know one of Manigeek&apos;s strengths is efficiency, getting great results with a minimum of fuss. Her technique with this Sally Hansen chrome kit is no different. Here&apos;s the rundown recap. A Sally Hansen chrome kit of your choice – in Canada it&apos;s still available in the Gunmetal version in the video, as well as Rose Gold and Holographic; in the US you should still be able to find Gunmetal, Rose Gold and Peacock. A microfibre cloth – Manigeek gets hers at Costco. Some kind of adhesive label you can write on – you&apos;ll want to label the little pot of chrome powder that comes in the kit so you can keep track of it among all the other chrome powders you will likely accumulate in future. Open the pot of chrome powder before you paint your nails. When your base colour is just about dry enough to touch without smearing, tap the base of little pot of chrome powder against the table to settle the powder to one side (see 10:00 in video – Manigeek demonstrates and explains why). Touch a fingertip lightly on the powder, tap it firmly into the surface of the nail polish on the pinkie of your other hand. When you&apos;ve covered the whole nail, use the same fingertip to rub the powder smooth. Repeat step 5 on the rest of your nails. 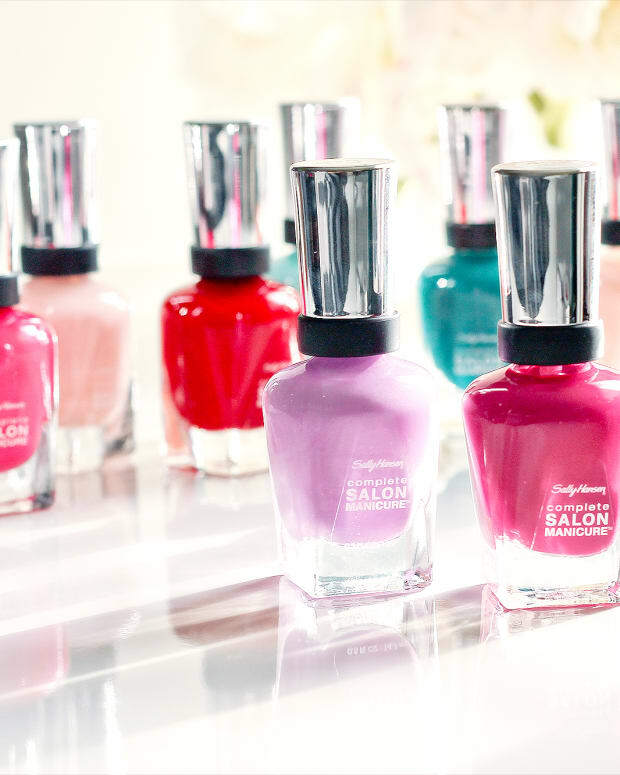 Coat the chromed nails with a layer of the Sally Hansen Salon Chrome Water-Based Top Coat. It seals the powder in without breaking it down. After about 5 minutes, when the water-based top coat is completely dry, finish with a layer of the Sally Hansen Miracle Gel Top Coat. Et voilá, chrome nails at home! More videos on this subject – like this one on chrome-at-home over a variety of shades from the likes of CND Vinylux to Chanel – to come; stay tuned! In the US, try amazon.com and Ulta stores (but not ulta.com); in Canada, try walmart.ca. What do you think? See how giving the Sally Hansen chrome kit the finger works? Have you already tried the kit and had less-than-stellar results?